If acai bowls are the new breakfast of 2014, then I’ve been left in the cold. Until, that is, I visited Wailuku’s newest restaurant, The Farmacy. 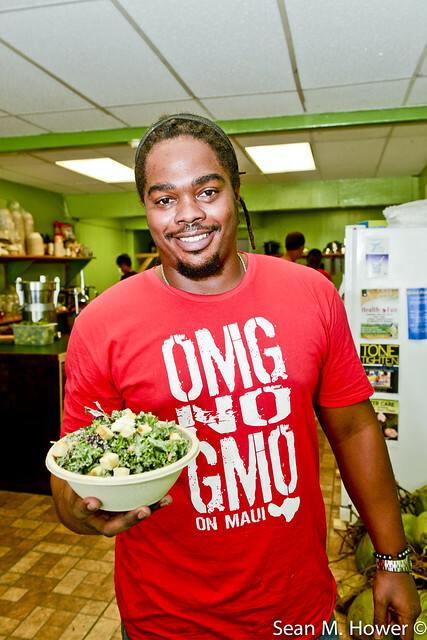 This is chef and owner Christopher Malik Cousins’ first health food joint, but he’s known his way around super foods since he was a kid. The restaurant is small. Big menu boards take up the wall space, a long counter where you order and some stools and benches for while you wait. The space used to be a shoe store, and when Malik leased it, he first opened one of his Local Boy Shave Ice spots there. 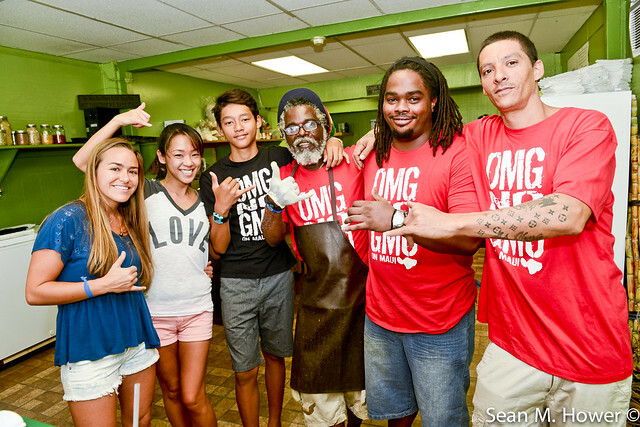 But shave ice didn’t catch on like his other locations, and he quickly realized he needed to change the concept. 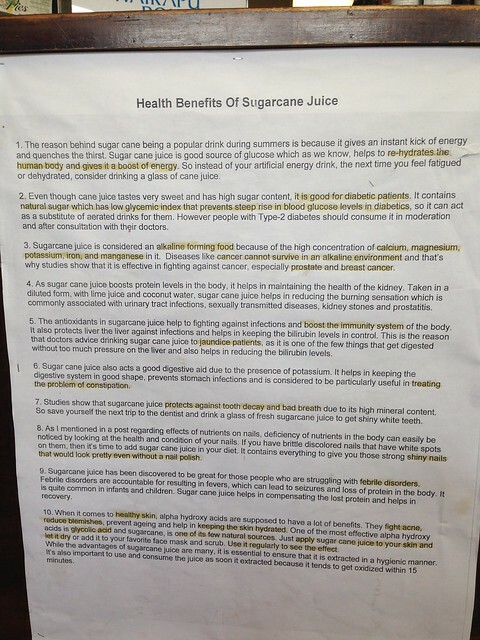 You can get fresh pressed sugarcane juice straight up or in your limeade. They also have soursop nectar, tamarind juice, Valley Isle Kombucha, coconut water, carrot/beet/apple juice and alkaline water. 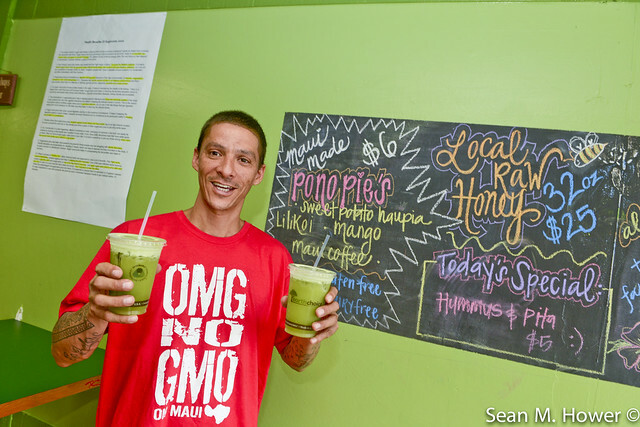 Juices are served in 20-ounce cups or 32-ounce jars (with a jar deposit). 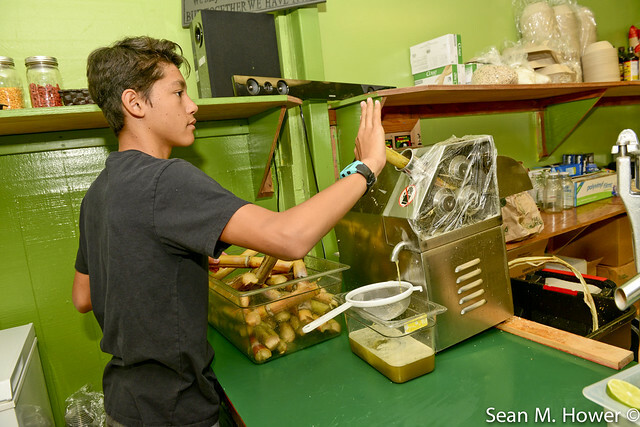 Farmacy strives to appeal to the Wailuku community, locals and haole, rich and poor. So there are little touches, like fresh poi from Waikapu in the acai bowl, to catch everyone’s attention. 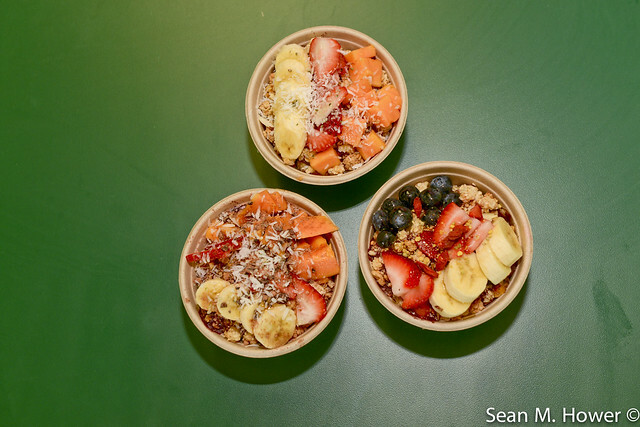 Acai bowls have erupted in popularity this year, but I hadn’t really gotten into them yet. If you have no idea what an acai bowl is, it’s kind of like a thick smoothie parfait in a bowl layered with granola and chunks of fruit. Farmacy is making me into a believer with the Wai Side Bowl that has poi. I had never tried poi with fruits, and it adds a great texture and smooths out the acidity of the fruits and acai berry. The hemp seeds and honey make it even more addicting. It’s the poi that seals the deal for this hesitant acai bowl fan. Their bowls come in keiki and kane sizes. They have a cacao version and a berry version called the Honolua. There are also smoothies on the menu ($8 each) and you can add ingredients like goji, cacao, chia or bee pollen for an extra charge. 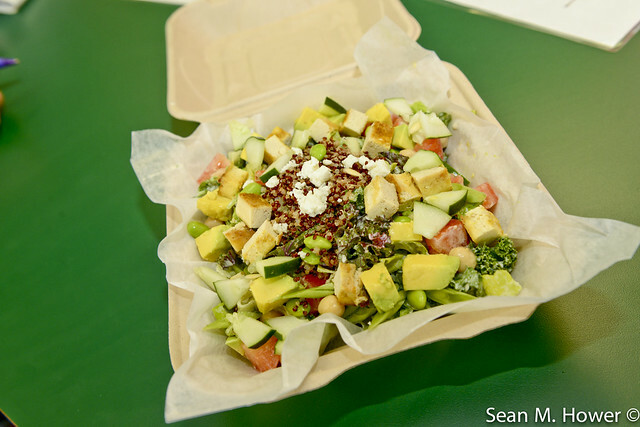 I gravitate towards the Haiku Green because of the kale, mint and avocado combination. The Maui Girl is a light combo of berries, aloe, citrus and mac nut milk, while the Cacao is a heady mix of hazelnuts, peanut butter, banana and soy. They also have a nice selection of more hearty foods, hot bowls, soups, salads and sandwiches. The pono bowl is a favorite at the MauiTime office, a blend of soup du jour and quinoa topped off with kale salad and spiced popcorn tofu. All salads have their own recipe dressings, creamy herb yogurt, rosemary balsamic or garlic cashew. Then there’s their delicious Pono Burger. “It has onion, zucchini, egg, quinoa, buckwheat, a little seasoning and a whole lot of love,” says Moka Lewis, one of the Farmacy’s creators. I’ve become partial to the Farmacy Club Sandwich. It’s a tofu avocado and mozzarella combination and you choose the bread–pita, sourdough or gluten-free. It’s their baked spiced tofu that I can’t get enough of, savory with plenty of special hippie spices. The also have a straight up veggie/vegan sando called the Paia, with roasted veggies. All sandwiches are served with chips and run about $8 to $10. 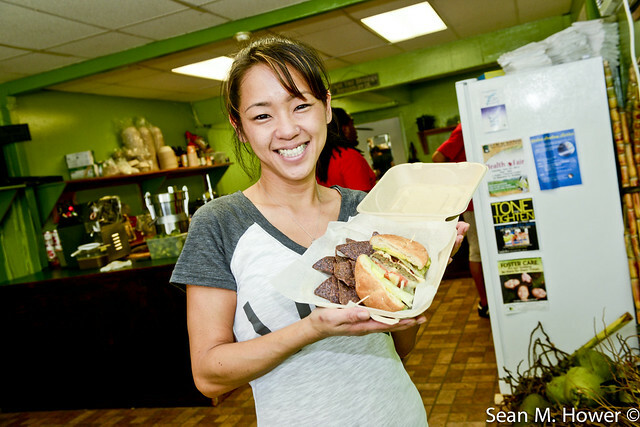 Farmacy is located at 12 N. Market St. in Wailuku, across the street from MauiThing. They’re open from 10am to 2pm, Mondays through Saturdays, but hours will soon expand earlier and later in the day. They also carry Pono Pies, local honey and poi for sale. For more info, cruise their Facebook page.